Don’t speak, I know just what you’re saying. RIZIN is awesome. The openweight grand prix semi-finals and finals are tonight after UFC 207 along with Gabi Garcia fighting Rita Repulsa’s grandmother. Not only that, but we get a classic Gracie versus Japan match-up with Kron Gracie and Tatsuya Kawajiri fresh out of the UFC. We could go on and on waxing poetically about the roster, but the focus here is the return of legend Hayato Sakurai. We celebrate him returning to fight for the first time in 3 years by sharing him singing No Doubt’s “Don’t Speak” at Karaoke. …Because it’s amazing. Yes. That is also Matt freakin’ Brown on Rockband guitar accompanying him. 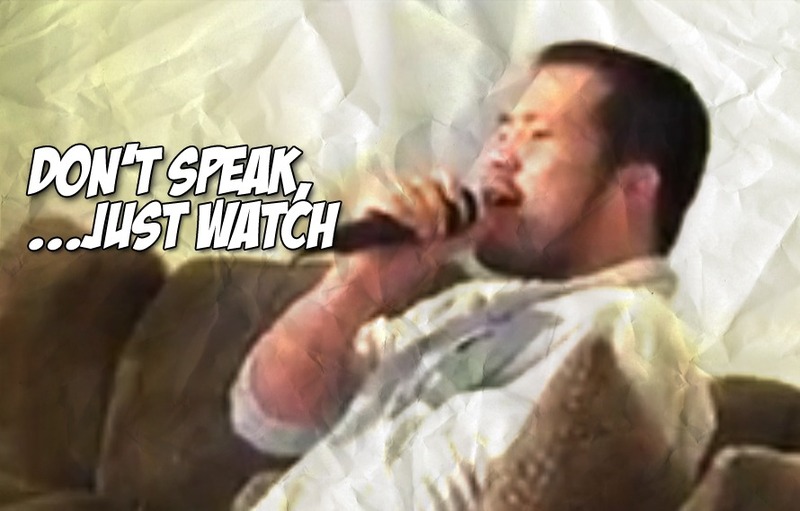 There needs to be an all-MMA Karaoke show. Make it Ultimate Fighter style with weight classes and what-not. Do a tournament. Whoever makes it to the finals have a sing-off and then they get to fight. It could come on right after mascot MMA which is another thing that needs to go down. No mention of Sakurai would be complete without watching the fight with Nick Diaz.